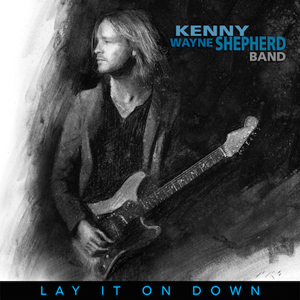 The Kenny Wayne Shepherd Band’s upcoming full-length record Lay It On Down is due August 4 on Concord Records. The album is Shepherd’s first since 2014’s Goin’ Home, which debuted at #25 on Billboard’s Top 200 chart and spent several weeks at #1 on the Blues chart. In anticipation of the release, Shepherd is playing the Muscogee Nation Festival June 24. Lay It On Down continues Shepherd’s winning streak of consistently acclaimed recordings throughout a more than two-decade long recording career that began at age 16 and has yielded six #1 blues albums, a string of #1 mainstream rock singles, five Grammy nominations and numerous awards. The forthcoming album was recorded live in the studio to analog tape in Shepherd’s hometown of Shreveport, Louisiana and produced by Shepherd alongside Marshall Altman (Matt Nathanson, Natasha Bedingfield, Kate Voegele). 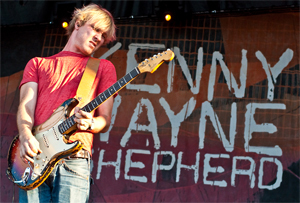 Click here for Kenny Wayne Shepherd’s web site. Click here for more on the Muscogee Nation Festival June 24. This entry was posted in Out & About on May 25, 2017 by admin.